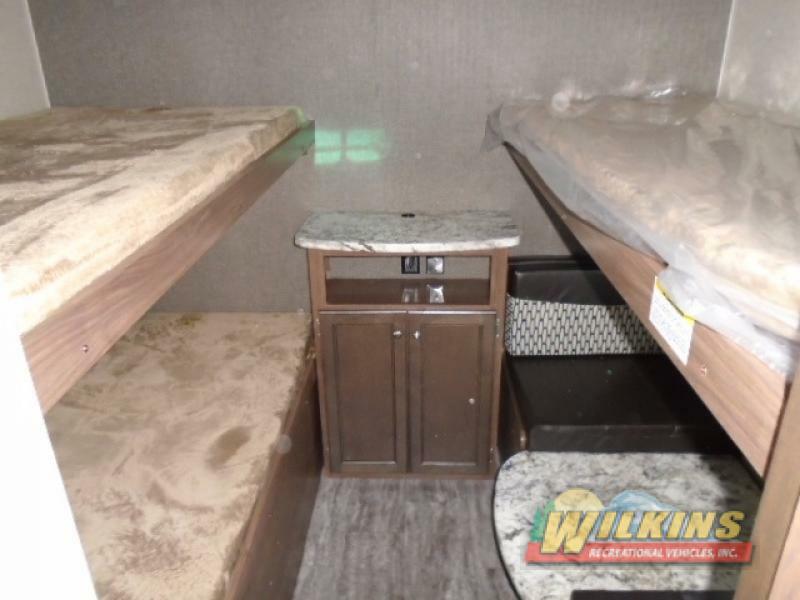 Families and couples searching for a well built and affordable camper with a wide variety of floorplans, upgrades and sleeping options can look no further. The Heartland Trail Runner Travel Trailer and the Heartland Trail Runner SLE Travel Trailer are a perfect fit. Choose from a variety of family friendly and couples floorplans with plenty of space for everyone to stretch out and relax. The Trail Runner SLE is a lighter weight version of the Trail Runner and is available in many compact, easy to tow models. 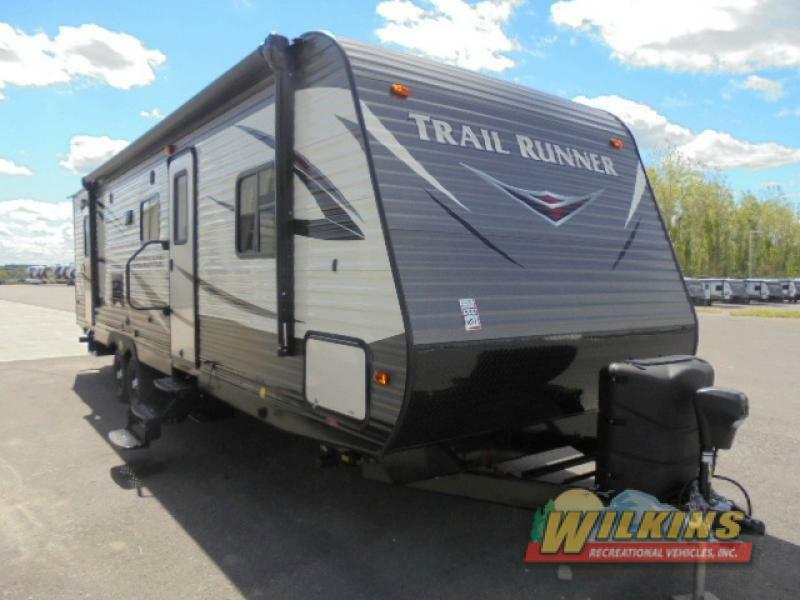 As you enter the Trail Runner, you will notice the living area is particularly spacious, This is due to the extra deep slide out rooms and oversized windows. This extra living space allows you to easily entertain family and friends. 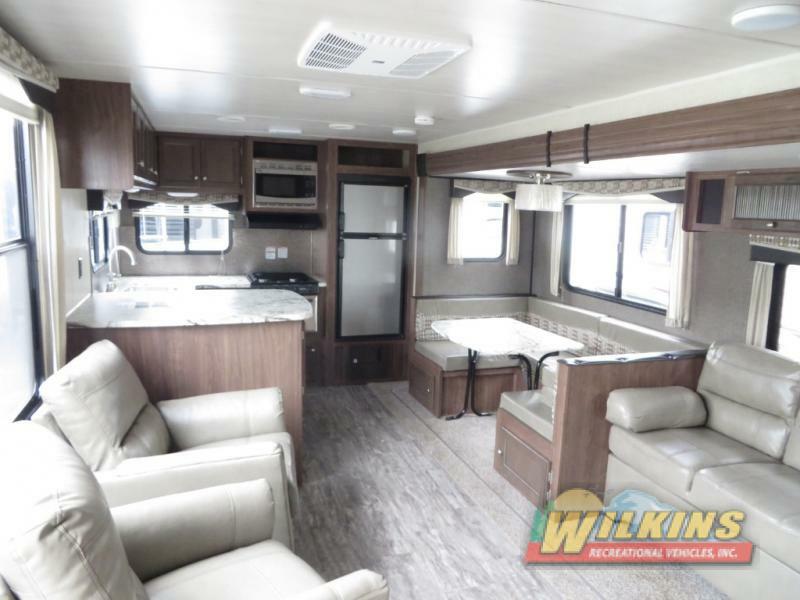 The Trail Runner offer spectacular views of the great outdoors as well as adding extra brightness to the interior thanks to the large, panoramic windows. 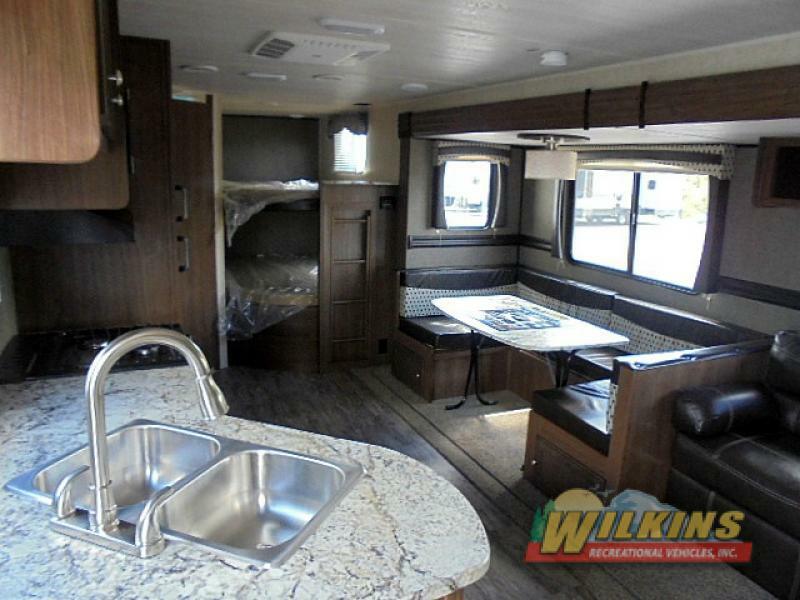 This well designed travel trailer is loaded with popular standard features such as a swivel TV box, fully equipped kitchen with lots of storage, and in floor ducted heat. 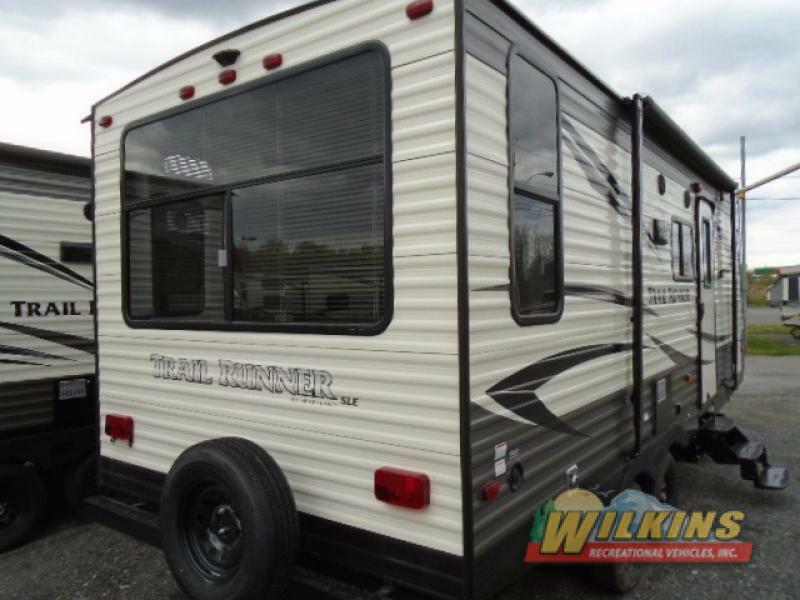 To find the perfect Heartland Trail Runner Travel Trailer that’s right for you, Contact Us at Wilkins RV or visit us at One of Our Many Locations. 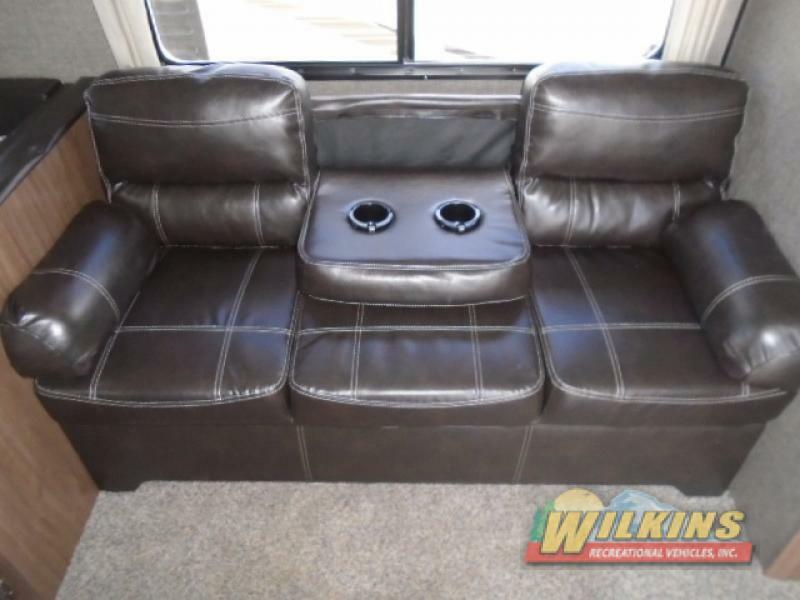 We have a large selection to choose from that is sure to fit your camping needs for a price you are sure to love!